Already on the margins of an agrarian society, the marine fisherfolk of the South Indian state of Kerala are faced with a severe environmental problem: overfishing. The actions of trawlers and industrial fishing ships, it seems, have caused the resources on which they depend to dwindle rapidly. Yet what may appear to be a clear-cut case of cause, effect and responsibility turns out to be a complex issue. Local perceptions of the environment are deeply enmeshed with notions of morality, the self and people's understanding of their place in society. Overfishing is one of several environmental issues that bring into focus parallel knowledges, giving rise to contradictory views on what the problems are, whether changes are good or bad, and how they are to be remedied. As the fisherfolk confront the state, a discourse develops on what is innate to the environment, or "natural", and on what its malleability entails. 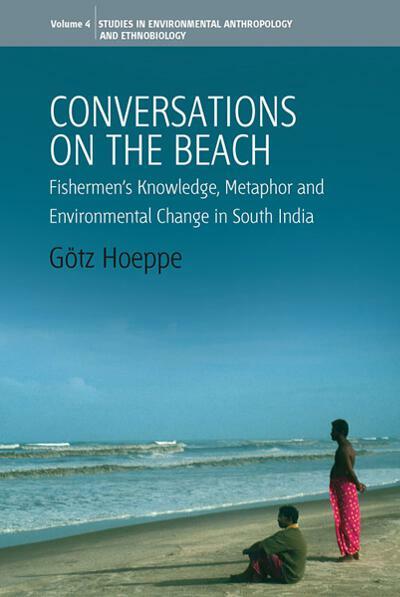 Based on ethnographic fieldwork among Hindus and Muslims in a coastal village, this book explores the fisherfolk's environmental knowledge, its transformation in a period of rapid socio-economic and political change as well as its role in dealing with the state and the science - putatively universal and objective - upon which the state's policies are claimed to be based. The book emphasises conversation as a cultural process, metaphors and figurative speech in the investigation of knowledge, as well as the use and limits of memory in conceptualising environmental change. Gotz Hoeppe is an editor of the magazine Spektrum der Wissenschaft and a part-time lecturer in social anthropology at the University of Heidelberg. He studied ethnology, physics and astronomy in Gottingen, Albuquerque and Berlin and has done fieldwork in Papua New Guinea and India. The author of Why the Sky is Blue (forthcoming at Princeton University Press), Hoeppe now investigates the epistemic practices of astronomers.